The mission of TeamWorks Art Mentoring Program is to teach and encourage creative expression, self-discipline, collaboration and engagement through the visual arts for at-risk youth ages 12-20. The program empowers students in juvenile detention and at alternative education high schools with arts-enriched classes, one-on-one mentoring, exhibit opportunities and community art projects. 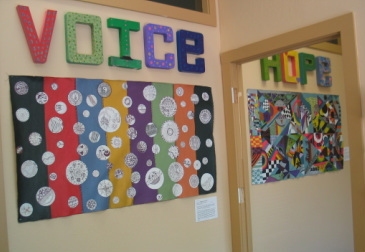 Students who enter Marin’s juvenile justice system and under-resourced alternative schools have little access to art education without the help of outside providers like TeamWorksArt. As a program of the William James Association, TeamWorksArt has the ability to boost academic motivation, helping youth develop pro-social behavior skills through arts intervention. 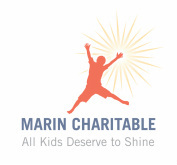 TeamWorksArt’s 18-year partnership with Marin County Probation Department and Marin County Office of Education (Alternative Education) has built a high level of cooperative trust with our strong committed team of teaching artists. TeamWorksArt offers flexibility and consistency in working with the customized nature of alternative education demands to successfully implement art classes. Every student is unique. TeamWorksArt creates an environment where young artists feel supported in creative explorations. We achieve this by bringing professional artists into classrooms, providing high-quality materials for hands-on arts education and mentoring. By engaging youth in creating artwork TeamWorks inspires participants to transform negative behavior into constructive action.TeamWorks enables high-risk youth to experience the benefits of an arts-rich school environment. Keeping students engaged and in school through arts intervention leads to adults who are more creative, innovative and better prepared to deal with the challenges of the world. See our Exhibitions, Events and Gallery. TeamWorks Art Mentoring Program is a program of the William James Association, a 501(c)3 non-profit corporation.